Well, what a nice surprise I got today--my first blog award from Karen at http://karens-kakes-krafts.blogspot.com/ How cool is that!? Thanks so much, Karen, for thinking of me!! It's very much appreciated. 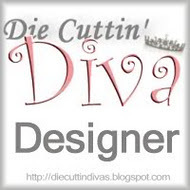 Check out her blog; she's very creative and a very busy lady! Now, for receiving this award, I need to state 3 things that make me different from everyone else (ha! ), and nominate 5 other bloggers to receive the "My Blog has Attitude Award." 1. I own 4 cats, down from having 5. 2. I'm a night owl; check out some of the times of my postings! 3. I actually like brussel sprouts. I've only had this blog since early December, and I was very excited when I got comments on my first posting, so I'd like to pass on the "My Blog has Attitude Award" to these 5 ladies for their early interest in my blog. It's really fun to learn and share with everyone. Now it's your turn to pass the award on (doing the same thing I've done here). You should also display the Blog Award Badge in your sidebar (you can copy and paste it and link it back to me). Congratulations to all of you!! WoW! Thanks Pat for my very first blog award. I'll be sure to pass it along (if I can figure out how - haha). Pat thatnks for the award!!! I really appreciate it! Thank you very much for my very first award! As soon as I decide who I want to give it too, I will post it. You're welcome, Elaine. Have fun with it! Hi there Pat, congrats on the award! Thank you for visiting my blog and all of your nice comments :) They sure do mean a lot to me :) JR seems to be feeling a bit better today (thank goodness! ), and so far the husband and I are still good (knock on wood). I think you are doing Great with your blog. Thanks for the very nice comment on my blog! I really appreciate your support, you are very sweet! Thank you for the award! What a nice surprise for me when I got home from Disney. You are so sweet!